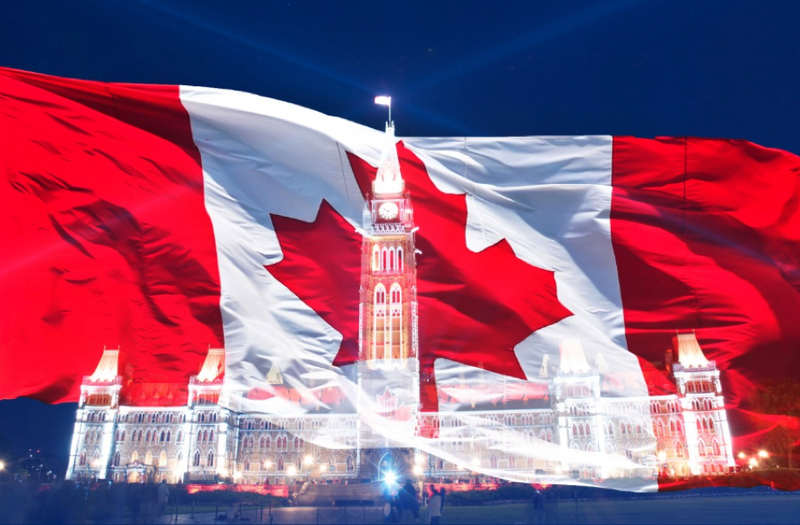 Canadian miners’ performance slipped in the three months leading to the end of September, due mostly to weaker gold, nickel, copper and zinc prices, the latest report by consultancy Ernst & Young (EY) reveals. 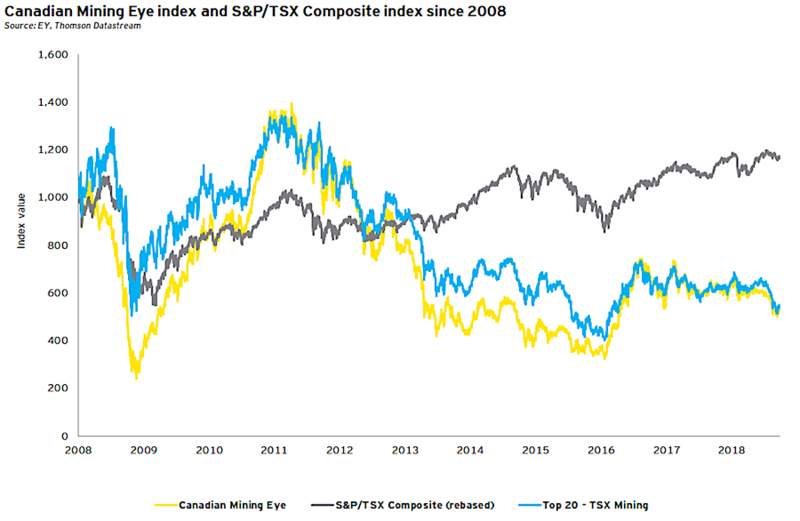 As a result, EY’s Canadian Mining Eye index — which tracks the performance of 100 Toronto Stock Exchange and TSX Venture Exchange mid-tier and junior mining companies — dropped 12% in the third quarter of the year when compared to the previous three-month period. 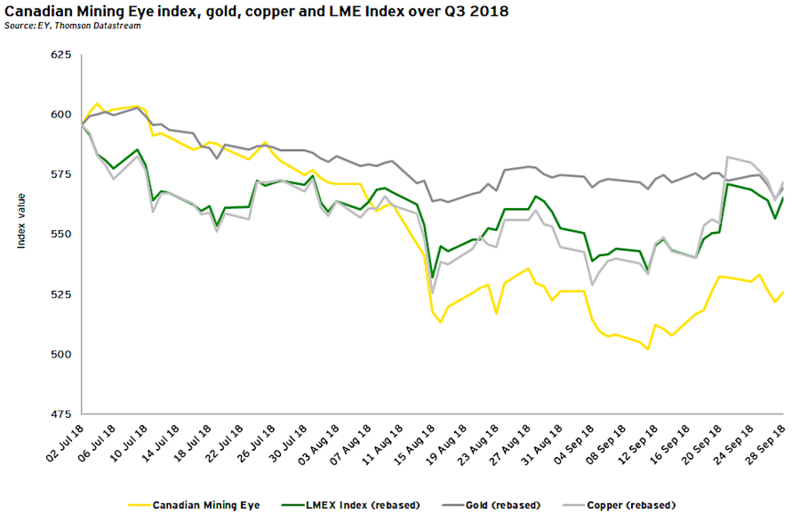 The report is also optimistic about the outlook for base metals, with copper prices expected to trend higher due to supply deficit, coupled with China’s stimulus to increase investment in railways and the national electricity grid in 2018. However, trade protectionism will likely put downward pressure on prices in the medium to long term due to the potential impact on China’s export of goods to the US. The outlook for zinc prices remains positive in 2018 due to supply constraints before balancing out in 2019. 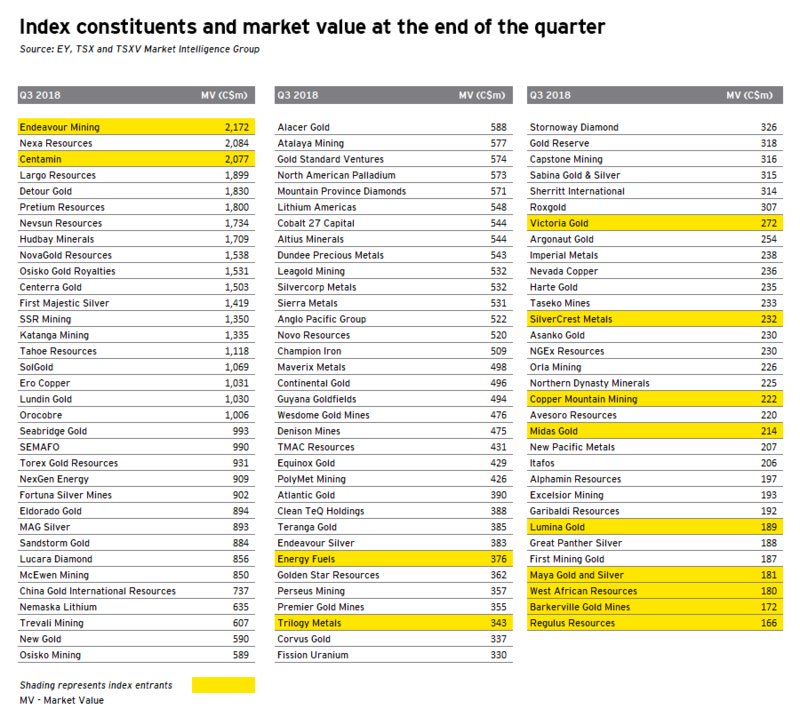 Supply is expected to increase through 2020, supported in part by start-up or production ramp-up at Dugald River, Vedanta’s greenfield Gamsberg mine, New Century mine and Glencore’s Lady Loretta mine.